The overarching goal for our team is to maximize the amount of time that teachers have to teach—and the quality of teaching that they can deliver—in government school classrooms in Haryana. To this end, one of the initiatives we are working on is creating a digitalized process for teacher transfers. This will make it easier to move teachers from overstaffed to understaffed schools, so that classes across the state meet national standards for teacher-to-pupil ratios. 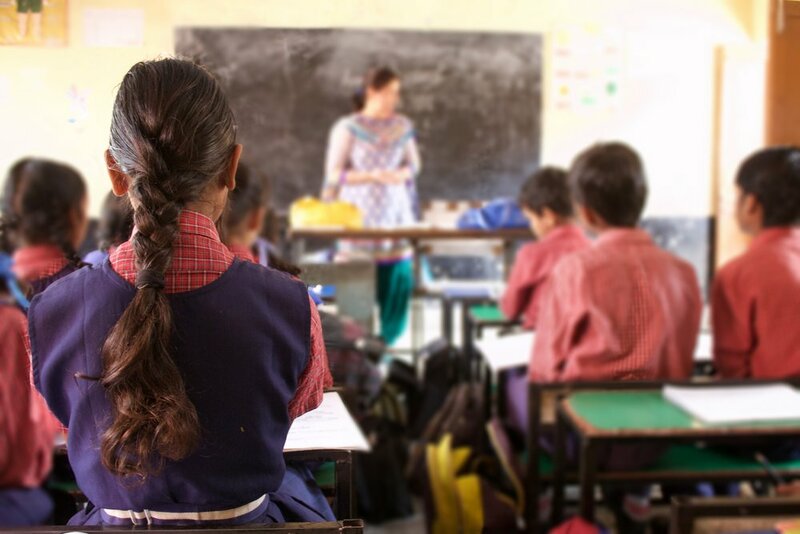 Some of the other initiatives we are working on, include aiming to strengthen communication between the government and teachers about new education programs and improving data collection through the rollout of a new Management Information System (MIS) that will facilitate informed decision-making in the Government of Haryana’s School Education Department. Government school classroom in Haryana. What are some of the steps being taken to improve data collection for the new MIS? Until recently, teachers were expected to perform a variety of data collection and reporting tasks that ate into their classroom time. Now, we are ensuring that the MIS meets the needs of the teachers and administrators who will rely on it. We have interviewed stakeholders from every branch of the education department to find out what data points were missing from the first phase of data collection with the MIS, conducted MIS trainings for key personnel, and optimized the way the department employees through several workshops to help them adopt the MIS. What types of obstacles have you had to overcome with your project? Have you identified any needs outside of your original work scope? Yes, absolutely. We discovered a need for capacity building in order for teachers and administrators to be able to fully utilize the new digital MIS. To address this, we will deliver a comprehensive digital literacy skills training to members of the School Education Department and HSSPP staff. In order to sustain and scale the initiative, initial trainees will develop a blueprint of how such capacity building initiatives could be implemented across the entire state. What has your experience been like working in the field? We have been working on interviewing teachers to gather insights about scaling the Learning Enhancement Programme, a remedial program for primary school students who are performing below grade level. This fieldwork has allowed us to see firsthand the spark that drives a good teacher. When we hear the excitement in teachers’ voices as they recount stories about their students feeling ecstatic about the new activity-based learning method that LEP introduces, it makes our work feel all the more tangible and important. Aakash Solanki, Gwendolyn Bellinger, Matt Luchins, Priya Mistry, and Sarvesh Tewari contributed to this article.